Thanks to collectors Bob Rayburn and Richard Salerno for their help with identifying the features of this early pistol. 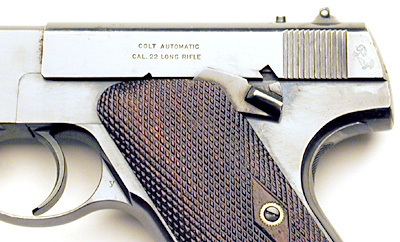 For complete information on the Pre-Woodsman and Woodsman pistols, please visit Bob Rayburn's Colt22.com website. 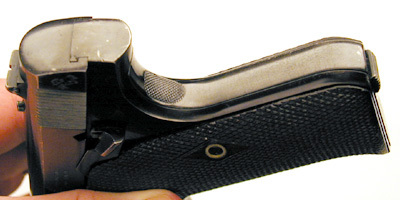 Left side close-up showing early style slide legend, location of Colt horse and diamond pattern checkered walnut grips. 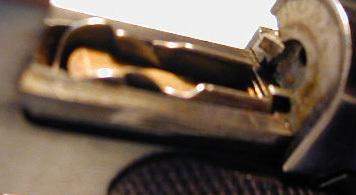 Checkered pattern mainspring housing indicating that gun is designed to fire standard velocity ammunition. Slide face. 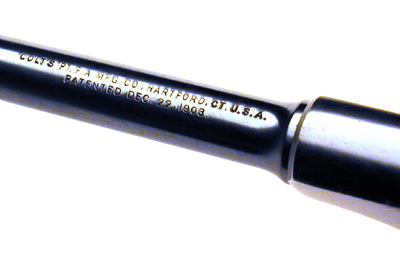 863 is the earliest known serial number lacking chamber device (slide appendage.) Previous low number was between serial number 1200 - 1300. 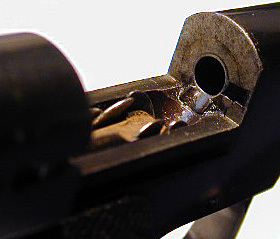 Breech face showing no recess for chamber device (slide appendage.) 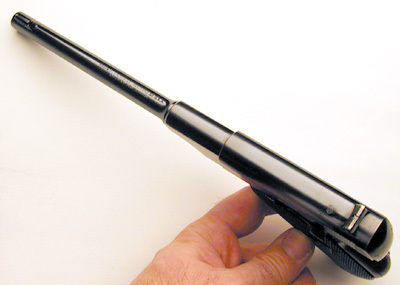 Also shown is brass magazine follower. 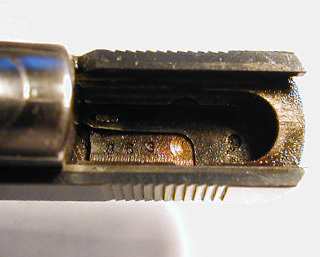 Serial number 863 stamped inside the slide. 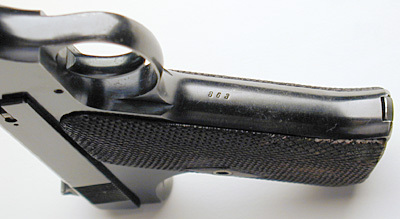 Serial number 863 stamped on front grip strap.